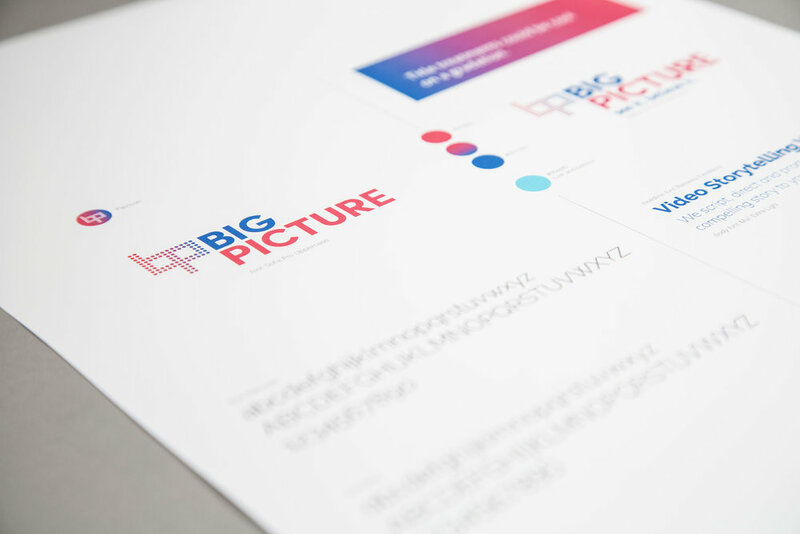 Big Picture produces high-end events so it was critical that their image, their logo & their website doubled as sophisticated marketing tools. When MOJO came on the scene we immediately knew that the Big Picture brand needed the same bells and whistles that they used for their visual experiences: video streaming, cool functionality, bold color choices & a website that emulated the storytelling aspect of their videos. Branding with the works. — Neil Alford, Executive Producer Big Picture Inc.
Big Picture sizzle reel that shows their story telling capabilities.